Glide Caps: Included With All Wheel Foot Pieces. 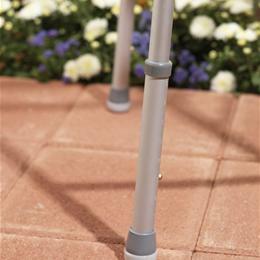 Allows Walkers To Easily And Quietly Glide Across Most Non-Abrasive Surfaces. Fits Tips With 1.5" O.D. Retail.